Indian Army NCC special Entry recruitment 2016-17 apply online : Indian Army welcomes application for the position of married / un – married male candidates and un – married female candidates and also from wards of Battle Casualties of Army personnel for the grant of short service commission in the Indian Army under NCC special entry Scheme 41st Course – April 2017.Candidates who completed their Degree is a good opportunity.The individuals who are the occupation seekers searching for govt employments in India this is the best chance to apply. Competitors read the official notification then read all the guidelines and miners precisely then apply before the last date online application got. All the interested and eligible candidates can apply online before 18th August 2016. Candidates Age Limit: The age of the candidate should not be less than 19 years and should not be more than 25 years as on 1st January 2017.applicant should born not earlier than 2nd January 1992 and not later than 1st January 1998. (Both dates inclusive). For NCC “C” certificate Holders: Degree from a recognized university or equivalent with aggregate of minimum 50% marks taking into accounts marks of all the years / semesters and should have served for minimum two academic year in the senior division / living of NCC should have obtained minimum of “B” grade in “C” certificate examination of NCC. For Ward of Battle Casualties of Army personal only: Degree from a recognized university or equivalent with aggregate of minimum 50% marks taking into account marks of all the years / semesters. For Indian Army vacancies: Interested and eligible applicants applying for the position of NCC special entry Scheme 41st Course may apply online through official website of Indian Army www.joinindianarmy.nic.in from 21st July 2016 to 18th August 2016. 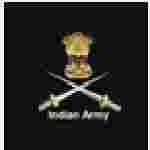 For Ward of Battle Casualties of Army Personnel only: Applications under category of wards of Battle casualties to send their completed applications direct to directorate general of recruiting / rtg – A, NCC Entry, AC branch, HQ of MOD (Army) / West block – III, R.K puram, New Delhi:- 110066 along with all documents (Less NCC “C” certificate) on or before 22nd August 2016. Important Dates: All the interested and eligible candidates can apply online before 18th August 2016.